Exclusively for up and coming bands, Getintothis’ Jake Marley gets the lowdown on Manchester’s new festival. There have been cries that not enough up and coming bands get on festival bills for what seems like forever, and now there’s a new festival stepping in and muting those cries with a bill made up solely of artists and bands fresh on the UK music scene. 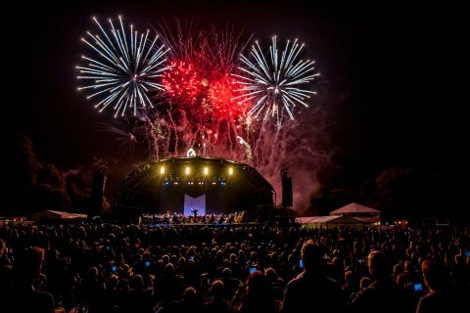 When In Manchester is a brand new one-day music festival aiming to bridge the gap between artists and run of the mill festivals by giving the hottest new talent a platform to showcase their music to larger crowds closer to home. 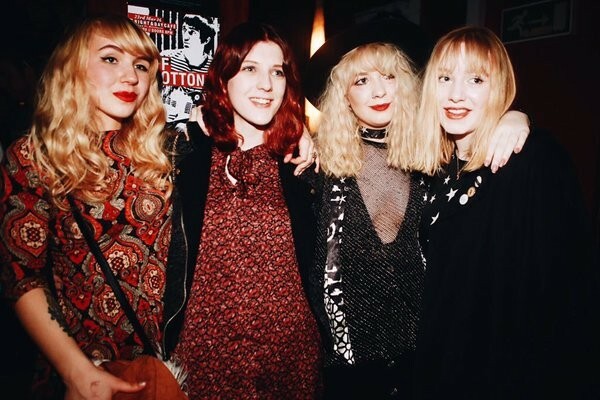 Launched in November 2015 to rave reviews and significant local support, When In Manchester is the brainchild of four northern music-loving girls, Nicole Burrows, Abi Richardson, Ellen Offredy and Miriam Rahimov and will take place at two of the north-west’s finest underground venues, Manchester’s Gullivers and The Castle Hotel on Saturday April 16. These aren’t the only gigs in Manchester! Check out our Manchester Gigs of the Month! The festival founders are strong believers in keeping the local community and creative talent at the core of the underground event, using local venues, having local bands headline and using a youthful creative team for designs and photography. Continuing the theme of passionate young women, the festival logo was created by 21 year old illustrator, and Manchester School of Art student Eve Bridges. The festival logo depicts the worker bee symbol representing the city’s proud industrial industry. At its musical foundations the festival also boasts a strong northern contingent with Liverpool founded JUDAS billed alongside a hefty selection of Manchester’s finest rising bands, LUNAR, Louie Louie, The Prions, Girlfriend and Kashmere. 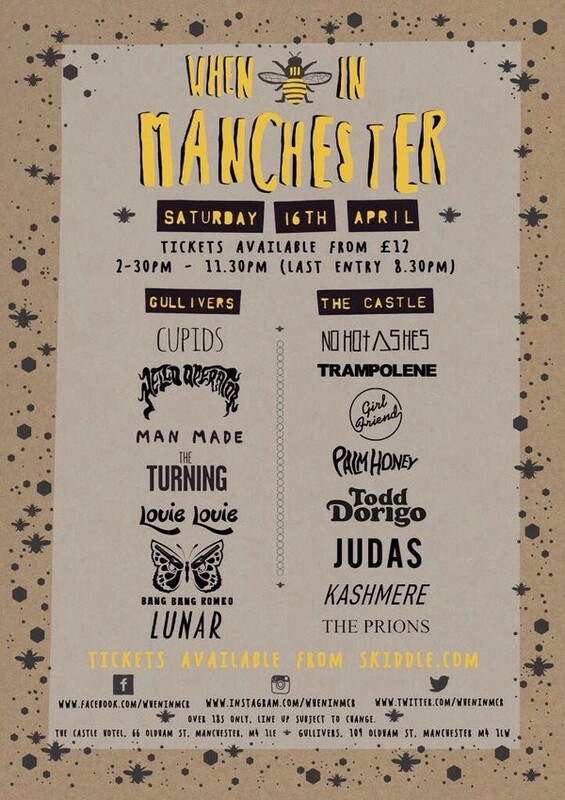 In addition to the headliners of each stage are also Manchester based with Stockport lads No Hot Ashes headlining The Castle Hotel stage and heavily tipped Manchester group Cupids topping the Gullivers billing. When In Manchester recently launched at a packed out Night and Day Cafe gig in Manchester, offering a small taster of what’s to come. Festivals like this are the very fabric of what the northern music scene is all about with the finest new talent on show as tipped by the blogosphere and beyond, you’d be a fool to miss the underground musical extravaganza that is When In Manchester. £14 limited tickets for When In Manchester (April 16) are available from Skiddle.